Please join us on Tuesday, April 9, 2019 at 9:00 a.m. for an Open House designed to share information about our school with new/prospective families. Join us for coffee, a tour, and details about our mission, curriculum, approach to education, enrichment hour, sports program and more. If you don’t have a ride, no need to worry! Our school bus will be in the park (the side near the Re/max office) at 8:45 to drive you up and can bring you back around 10/10:30 a.m.
San Juan del Sur Day School Celebrates 10 Year Anniversary on February 8! 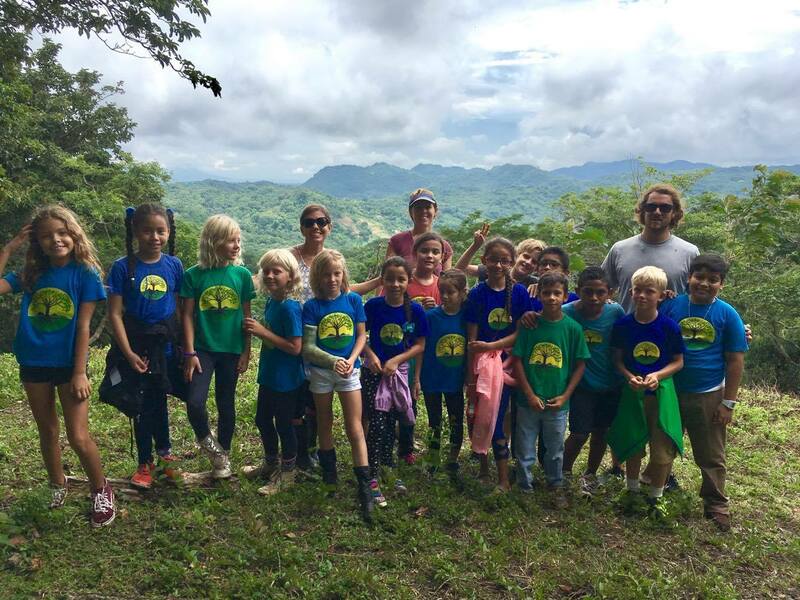 From a small daycare on the beach to a complete preschool – middle school in the mountains, San Juan del Sur Day School has grown leaps and bounds! This February 8, we will celebrate our 10 year anniversary! Read on for details! FOOD/DINNER-Bring your own plates and utensils. (think eco-conscious and limit single use plastic) Bring your own food & snacks as needed. Big Wave Dave’s will be available for purchase for dinner. Breakfast will be provided on Saturday! CAMPING– Bring your camping & sleeping supplies. If you need a tent, please email us right away so we can prepare. Otherwise, we can also sleep inside the building in the gym. This is a family event, so we want parents and children to stay overnight together. Children are not to be dropped off; your attendance with them is wanted!! Plan to make arrangements with another adult to chaperone your child if you cannot stay the night with them. FUN– Plan to have lots of fun!! BREAKFAST/COFFEE– Bring your coffee machines so we all have enough machines brewing together!! We will buy the coffee, milk, & sugar. Roxana our resident chef will be preparing Nica breakfast for us all to enjoy! TRANSPORTATION– please carpool as much as possible to limit traffic on the road. The bus will be taking guests up and down from the park starting at 3:30 pm on Friday the 8th. Beverages, snacks, food as needed for your family. A smile ready for some fun!! Games Camp a Great Success! Last week’s Fun & Games camp was a great success! The Pollywogs (3 year olds), along with our older campers, enjoyed playing classic favorites and learning new games. We played a variety of board games. We also played chalk, hoop, rope, string, and ball games. We also created obstacle courses, relay races, and used our imaginations. Campers made hoop cookies and popcorn balls, designed tic-tac-toe games, and experienced a little bit of Nicaragua by learning how to lasso. The pollywogs made binoculars, butterflies, and bug jars. They also played follow the leader, played duck-duck-goose, sang some new songs, explored marble mazes, read stories, and ran animal races. The older campers enjoyed chess, got deep into Trouble, learned dominoes, mastered cat’s cradle, and played Uno. We had special guests from Cusmapa de Madriz on the Honduran border. Campers had a unique opportunity to weave baskets out of pine needles. Of course, one highlight was creating our own original games with our own rules, strategies, and goals. On our last afternoon, families were invited to a sharing. The Pollywogs took their parents on a scavenger hunt to find colors, shapes, and numbers throughout the campus. The older campers taught their parents their original games, gave lassoing lessons, and took them on treasure hunts. Your child’s day does not need to end at 12:30 p.m.! At San Juan del Sur Day School, we strive to support the diverse needs of our families. San Juan del Sur Extended Day is an after school program serving children age 2-5. The program is designed to support parents and families who require childcare after 12:30 pm and also for children seeking additional opportunities for play, socializing and fun! Our after school program provides meaningful and exciting experiences in a safe and caring environment. *While we cannot guarantee that your child will nap in Extended Day, we will provide a quiet space for children needing a rest. *Parents are responsible for sending children to school with sufficient clothing, diapers, and wipes for entire day. Children participating in our Extended Day Program will depart school at 4:00 pm each day with our primary school students. Parents can pick up children at the bottom of Finca Las Nubes hill at 4:05 pm, at the park at 4:15 pm or in La Talanguera at 4:30 p.m. Currently, our extended day program has room for up to 10 children max. Parents who choose our monthly-unlimited use option automatically reserve a daily space for each paid month. Daily drop-ins will be assessed based on remaining space. We offer two different payment options for our after school program. Unless otherwise notified by a parent, child will stay for Extended Day all full days that school is in session during the month that has been paid. Payment is required in full, 5 days prior to start of new month. Students who are not signed up for unlimited use will automatically be billed at a daily rate. Invoices are generated each month and must be paid in full within 5 days or child will not be permitted to participate in future Extended Day activities. To reserve a space for the day, parents must contact Director Julie Speier and Director of Admissions, Sarah Fahey, via email, by 7:00 pm the day before. Space is on first come, first served basis. Julie or Sarah will confirm availability. If you do not hear back, assume that your child will be dismissed at 12:30. It has been an incredible 2016 so far for San Juan del Sur Day School. In addition to growing the student body, breaking ground on a second building, developing an enrichment program, adding a day camp, and establishing a steering committee, San Juan del Sur Day School is also now an accredited Nicaraguan school via MINED (Nicaragua’s Ministry of Education). Though a lengthy process, it was also a wonderfully comprehensive step toward future international accreditation. It also encouraged our teachers and staff to review and further develop our curriculum, incorporating even more aspects of Nicaraguan history and culture into daily lessons. As a recognized school within the Nicaraguan education system, San Juan del Sur Day School was invited to participate in the annual Independence Day Parade, which took place on September 14. It was truly an honor to participate and a wonderful way to pay homage to the country we all call home. We invite you to visit our facebook page for additional photos! And grow we have…in just one short year, we have outgrown our first building at Finca las Nubes! As the town continues to grow, so too does the school. The increase in enrollment and interest has astonished us this last year as more and more families relocate to and call San Juan del Sur their home. In fact, we’ve even had many families share with us that in looking to move abroad, San Juan was at the top of their list, in most part, due to our international school. So, we’d like to say a big thank you to everyone who has helped to spread the word about San Juan del Sur Day School, be it thru blogs, emails, Facebook posts, etc. Because of this rapid growth, construction of a second building quickly went from being a dream to being a necessity. Thanks to a dedicated group of local investors, comprised of community members, school families and friends, and led by Chris Robertson and family of Finca las Nubes, building number two is complete! This incredible team only broke ground in July of this year (see photos of the progress below). By the end of October, we were able to move in! If you’d like to learn more about investing in San Juan del Sur Day School, please send an email to our School Director & Founder, Julie Speier, atjulie@sanjuandelsurdayschool.com. Thank you! It’s hard to believe that anyone relocated to San Juan before and without the help of Gordon and Elisha of In Nica Now. This married duo offers advice on just about everything from opening a bank account to cost of living. With nearly 5 years under their belts in Nicaragua, most of it in San Juan del Sur, they are expat experts. In addition to a highly informative blog, they also offer relocation services, as well as an extensive list of other expat and general Nicaraguan resources. They also regularly lend support to the community, sponsoring community cleanups and other local organizations. For every home finder client referred by San Juan del Sur Day School, Gordon and Elisha have offered to donate a portion of the fees to the school’s scholarship fund. So be sure to tell them that we sent you! Check out their website here or follow their facebook page. Due to the popularity of their blog, Gordon and Elisha also created a Facebook forum for the community of San Juan del Sur. Originally intended for expats living in or moving to San Juan, the group has changed shape over time and now represents the diverse community of everyone living in this little beach town. With nearly 5000 members, the forum is a great way to crowd-source questions about life here. Be sure to take responses with a grain of salt, as the forum is home to quite a few would-be comedians. 4 Things I didn’t Need to Pack for Our Move to Nicaragua and 15 Things I’m Glad I Packed… You can follow Jenna and her family on her blog here. Traveling to and living part time in San Juan del Sur since 2007 and 2000 respectively, Brooke Rundle and Claudia Gonella launched San Juan Live a few years ago. In addition to their community profiles, relocation information and the 180 page content-packed Insider Guide to San Juan del Sur, San Juan Live gives you a deeper flavor for the kind of lifestyles and experiences on offer. Use their categories at the top of the site as a starting point, sign up for their free updates, or head to the home page to learn all about what San Juan del Sur has in store for you. With a community focus, San Juan Live not only makes recommendations to wonderful community based projects, but also provides annual fundraising assistance to many of the same projects. Check out their website and follow them on Facebook. Since 2006, Del Sur News has been a reliable source of Local, Regional and National News on issues affecting Tourists, Visitors and E x-Pats in Nicaragua and holds the honor of being “San Juan Del Sur’s first and only bilingual weekly newspaper.” Though the printed paper only comes out weekly, Kelvin and Maria have now added a website, as well as a facebook page that is updated regularly and includes helpful reminders of holidays, power outages, events and all things newsworthy. Pretty much anyone who visits San Juan del Sur, Nicaragua knows that there are plenty of gorgeous beaches for building sand castles and awesome breaks for catching that perfect wave (check out www.innicanow.com for a great description of the local beaches). Surf shops offering board rentals, ding repairs, and lessons abound, as do some pretty amazing pirate ship sails, catamaran tours, yachting and fishing tours. And these are all not to miss opportunities! But here are some great family-friendly alternatives in case you need a break from the rays or just want to get your kids moving! There is no shortage of hikes in San Juan thanks to the steep cliffsides and lush landscapes. Hike up early in the morning to listen for the howlers or wait until evening to catch a glorious sunset. The most popular hike in town takes you up to one of the 10 largest Jesus statues in the world. To walk the entire hill, start at the entrance to Pacific Marlin and follow the road. Alternatively, if your kiddos are tired at the end of a busy day, you can drive to the base of the statue and then hike just up the final steps. Be sure to bring a few cordobas, as there is an entrance fee. For a greener hike, consider a hike to the old lighthouse and fort, located at the south end of the bay where you will find a spectacular view of the bay from the south, looking towards Jesus. Parque de Aventura las Nubes (see below) also offers well maintained trails and there is rumored to be a small waterfall in the hills behind El Encanto del Sur, along the Chocolata. Be sure to wear sturdy sneakers, hat, sunscreen and bring plenty of water! Just outside of town and next door to San Juan del Sur Day School is Parque de Aventura Las Nubes, which is located on the Continental Divide of the Americas. Best known for its zipline/canopy tour, the park also offers a climbing area for kids, hiking trails, spectacular views of both San Juan and Lake Nicaragua/Ometepe Island and even an Iguanarium. Learn about the green iguana, what they eat, where the live and you may even be lucky enough to hold a baby iguana under the supervision of a trained and knowledgeable guide. It’s also a great place to view howler and spider monkeys, as well as toucans and sloths in their natural habitat. If the canopy tour didn’t get your blood pumping fast enough, you might consider rappelling down a 45 meter waterfall all the while enjoying spectacular views of the San Juan del Sur Bay and Palermo valley. This adventure, courtesy of Aracne Rappelling Tours, is not for the faint of heart, but the adrenaline rush alone makes it worth it! Led by skilled guides, including founder Javier Baldovinos, the tour includes all the safety gear and instruction and even ends in a hike to see petroglyphs where you will learn a few things about the indigenous population that lived there long ago. Older, confident children are invited to rappel solo, provided that a guide and parents have given the green light. Confident, but super lightweight kids can also go solo, but a guide assists them as they lower down during the descent. Younger children can descend attached to a guide. The majority of children who participate are 7 and up, but Aracne and their skilled guides have rappelled with children as young as 5! Looking for a little shade and some quieter time with the kiddos? The San Juan del Sur Biblioteca Movil is one of the longer standing institutions in San Juan and the first lending library in Nicaragua. Founded by Jane Mirandette, and run by a staff of lovely individuals, the library provides over 12,000 books in a mix of Spanish and English, a computer lab, and acts as a community center for the 4,800 registered card holders. Children and young adults gather daily to create crafts, play games, do homework and study. Stop in to play in the children’s room or lighten your travel load and simply borrow a few kids books to be returned before you depart! Múúv Dance and Yoga is one of the newer additions to San Juan del Sur and a much welcome one! Teacher Maggie Purce began offering dance to children of San Juan at the end of 2015 and just this month opened her own yoga and dance studio. Maggie has quickly become a kid favorite with her upbeat classes and fabulous enthusiasm. Classes are suitable for all skill levels and are a wonderful way for your child to get creative, practice body & mind discipline and of course have tons of fun. Currently offering ballet, hop hip and creative movement to kiddos ages 4-12, Maggie also has some fun adult offerings, including zumba, salsa, and yoga. Drop-ins are welcomed! Visit her facebook page for class schedule and more details. There are a handful of options in San Juan del Sur for horseback riding. The folks over at Da Flying Frog offer short tours for families. If you are interested in lessons, your best bet is the Lil’ Wranglers Riding Program at Rancho Chilamate with Cowgirl Alex, a trained instructor and a certified therapeutic horse training professional. Or, try private or group classes with Linda Giordano at El Encanto (info coming soon). Juan Pablo Lopez of TKD San Juan del Sur offers Tae Kwon Do instruction throughout the week, across the street from Hotel Villa Isabella. The benefits of learning a martial art are numerous – in children, it instills a sense of discipline and respect while also teaching concentration and self-confidence. It also helps to improve strength and balance and has even been proven to reduce aggression in children. Juan Pablo is a seasoned instructor who teaches children not only the physical aspects of Tae Kwon Do, but also the discipline and self control required of this martial art. Juggling, magic, hula hooping and aerials are all in a day’s work (or should we say, play) during circus classes offered by Momentom Collective. The Collective is a group of certified instructors and performers of yoga, cirque arts and illusion- based magic in Nicaragua. Classes are open to children ages 6-11 years old and are offered at Escuela Adelante at 9:30 AM on Saturdays with Lindsay Novah – price is by donation and languages spoken include English, Spanish, and clown. They even offer private adult classes in aerials at Zen Yoga and Yoga classes at Casa Oro yoga inspired by circus arts. When school isn’t in session, San Juan del Sur Day School offers day camps. During this upcoming summer break, there will be two weeks of camp, from July 25-29 and again August 8-12. Kids ages 2-12 are welcome to participate. The day runs from 9 a.m. -3 p.m. and includes transportation from town, lunch, field trips and activities. Children have the chance to ride horses, practice yoga, swim, surf, dance, play games, make art and more. For more info, visit the school’s camp page here. San Juan del Sur is bursting with volunteer opportunities thanks to wonderful organizations like Comunidad Connect, Barrio la Planta, The Mobile Library, Vacation With a Purpose, to name a few. If you are only visiting for a brief period of time and would like to find a way to help out, consider involving your family in the San Juan del Sur Community Cleanup, spearheaded by the Boychuk brothers of Surf Ranch Resort. Help clean up trash for two hours (bags, gloves are donated) and then enjoy a great BBQ and splash in the pool out at the ranch as a thank you afterwards! Follow their facebook page for updates on location of cleanup. Speaking of Surf Ranch, they are actually best known for their fantastic skate park. The Surf Ranch skateboard park is located on site at the resort in San Juan Del Sur, and is the largest skatepark in Nicaragua. The park is open to everyone, free of charge. The park has areas for beginners, intermediate and pros, with everything from flat bars and manual boxes to hubbas, quarter pipes and handrails. All outside guests are welcome. Skateboard Rentals – $2 per hour. P.s. they also have a climbing wall (ages 8 and up), an airbag jump (ages 10 and up), pool, and restaurant (extra fees apply). The Trade School is a volunteer-led learning space that runs on the barter system. Members of the community can create and teach just about anything and offer it thru the trade school website. Instead of cash, instructors post a list of items that they might enjoy as a trade for their service. Bring a fresh loaf of bread, a bottle of wine, some children’s books and you are good to go! Past courses include gardening, natural building basics, and fiction writing. For kiddos, there was a bilingual storytelling and craft hour. The trade school is a wonderful addition to the community, but it can’t run itself. If anyone is interested in helping to drum up more classes, please check out their facebook page for info.